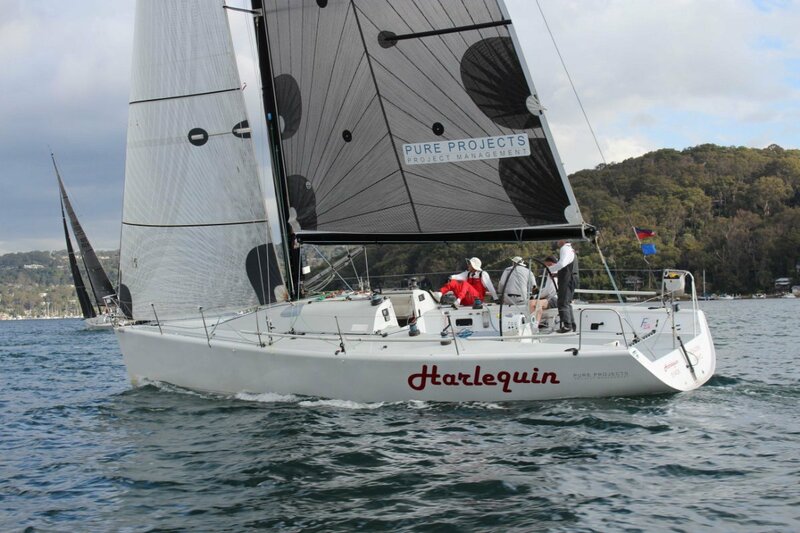 Harlequin is a great club, One design and Ocean racer. 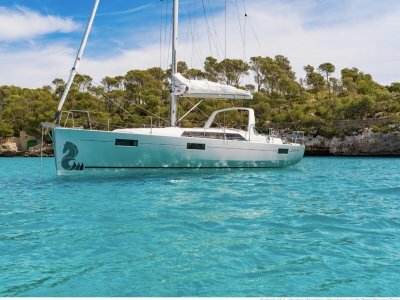 She has competed in the local One design fleet when known as Edake and was bought by the current owners to enjoy both in shore and off, having been set up for both. Current Cat 3 and 7 safety certificates. 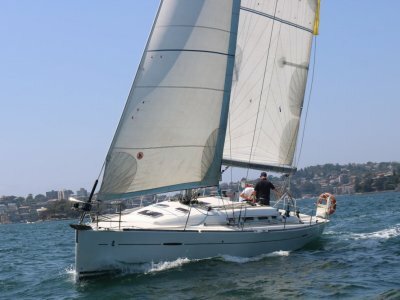 The Farr 40 has made a great revival over the last few years as a fun, fast easy to sail boat at a fraction of the cost of many other race programs. Mast and spreaders have been fully refurbished and recoated, along with all new rod rigging and halyards in 2016(to the tune of $40K). A second shorter spinnaker pole for headsail twilight racing. B & G H2000 instrument package. Good level of sail inventory IRC optimised plus delivery sails. Located at RPAYC Pittwater. 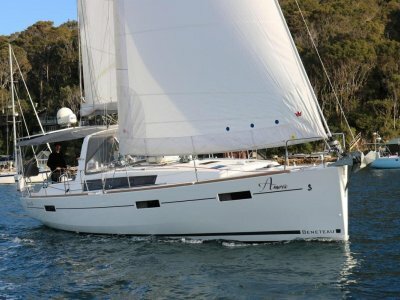 Contact Vicsail Sydney (02)93272088 for more information. Four single berths plus two additional adjustable pipe cot berths. 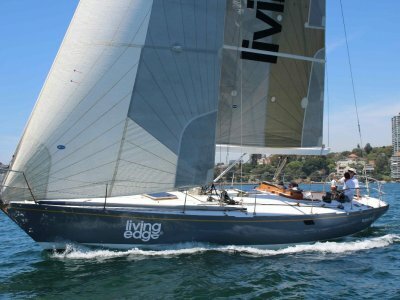 Racing galley with 2 burner Maxie stove, sink with pressure water, 12v top opening fridge. Current Cat 3 and 7 cert for inshore and coastal racing, OCR stability, fire ext, flares, bucket, life ring, jack stays and safety tethers, v sheet, sea brake sea anchor, medical kit, Danbuoy, 2 x 6 person life raft(annual certification required). VHF with mast head aerial. 2 x 6 person life raft(annual certification required). Full B&G H2000 instrument package. Performance Processor, Four Mast Displays (4 x 20/20) Two Cockpit Displays (2 x FFD), Raymarine Hybrid touch E7 plotter c/w AIS at nav station. Recently serviced($40,000) Carbon fiber mast with 2 NEW sets spreaders, aluminum boom, carbon pole, rod rigging(NEW). Hydro backstay pump with quick release dump valves, kevlar cable backstay, Harken spinnaker pole track Hydro mast jack. New halyards 2016. Harken primaries 48's and mainsheet 44's cabin top 44's. Harken Black Magic blocks Harken tracks, cars, traveler, Spinlock Rope clutches for halyards. Harlequin is in good condition. The boats former name was Edake and before that Revolution. It was professionally prepared for the 2004 worlds in San Francisco and had been fully optimised.